When Sara Zaske moved from Oregon to Berlin with her husband and toddler, she knew the transition would be challenging, especially when she became pregnant with her second child. She was surprised to discover that German parents give their children a great deal of freedom-much more than Americans. In Berlin, kids walk to school by themselves, ride the subway alone, cut food with sharp knives, and even play with fire. German parents did not share her fears, and their children were thriving. Was she doing the opposite of what she intended, which was to raise capable children? Why was parenting culture so different in the States? 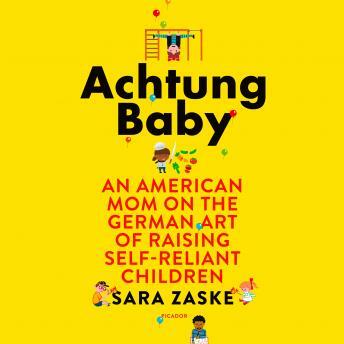 This instructive audiobook is perfect for new parents and anyone else interested in how different cultures approach child rearing.